Both seasoned and novice investors need to understand one concept above all else: the real estate industry is all about the people. Without clients, investing would be a rather fruitless feat. This isn’t groundbreaking news. Entrepreneurs are constantly striving to figure out what their customers want. While knowing what they want isn’t a bad place to start, understanding why they want it will be far more advantageous for your business’ bottom line. Suppose your are selling a home to a woman and her child. You can ask the basic questions: “what is your price range?”, “where is your ideal location?”, “how many bedrooms will you require?”, and so on. Although these questions are valuable – and come with answers you will ultimately need to have – their answers are less significant than answers to “why” questions. “Why” questions reveal your clients’ motivations behind their purchase, helping you to better understand their needs and retain them as loyal, profitable customers. Your clients will feel respected and appreciate the fact that you care more about their specific sale. Phrase your first question as follows: “what made you decide to start looking for a new home?” By asking a “why” question, you will appear more considerate, and those “what” answers – that you are truly trying to obtain – will fall into place. Make sure to ask a follow-up question to come across as empathetic. Something as simple as “tell me more about that” or “how can we make this process run more smoothly for you,” shows your client that your sole purpose is to support them, not to help yourself land another deal. Lastly, gage their emotions by asking how they feel about everything thus far in the transaction. Are they happy, sad, anxious, or scared? Once you know this, you can alter your game plan and more easily devise a solution if necessary. The same concept holds true for investors. Most people don’t consider investors “salespeople,” but in a way they are – with themselves being the product. For example, If you plan to invest in a rental property, you’ll need to acquire capital. To acquire capital, you have to secure a lender. In order to secure a lender, you’ll need to present yourself as a reliable, trustworthy, and capable candidate. To do so, it will be necessary to hash out the many previous investments you have completed successfully. However, separate yourself from the competition by remembering the “why” questions and, in this case, “why” answers. Ask why the property initially went on the market. Ask why the seller is looking to dispose of it quickly. Perhaps you will find out that the foundation has been damaged beyond repair or that the roof has a bad leak. You might learn that the owner is experiencing family difficulties, and is therefore willing to sell at a lower price. If you are all about the “what,” you might miss out on important details that would have otherwise made you rethink the deal. Never underestimate the power of excellent customer service. Small business owners should place a heavy emphasis on delivering a great consumer experience. 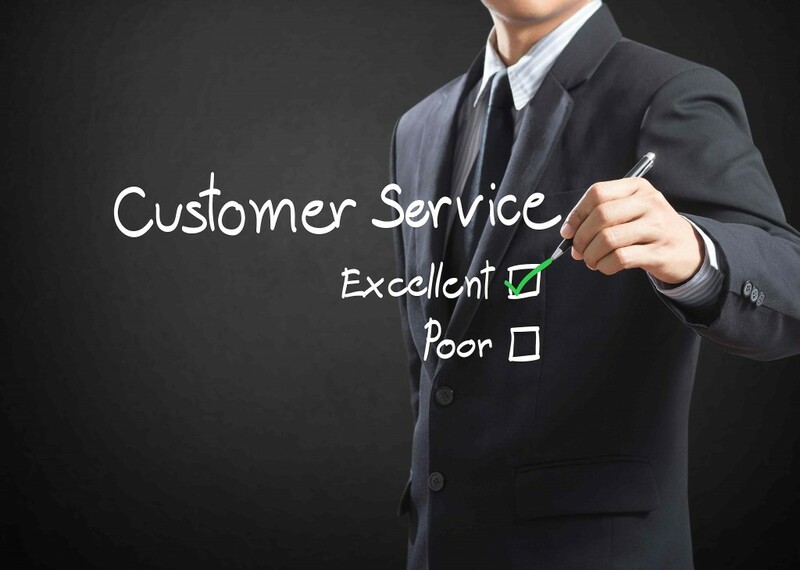 While great customer service has positive ramifications (companies that make customer service a priority make 60 percent more profits than their competitors), bad customer service can make an even bigger impact. Negative interactions spread to two times as many people as positive interactions, and 91 percent of unhappy customers will never willingly do business with you again. According to a study conducted by the White House Office of Consumer Affairs, it takes 12 positive experiences to make up for a single bad experience. If those stats don’t shock you into exhibiting some customer appreciation, you are not ready to enter into the world of real estate investing. Changing your motto from “what?” to “why?” is comparable to what George Debb, contributor for Entrepreneur Magazine, considers selling widgets versus selling wisdom. A widget implies a thing or a product, while wisdom implies insights and understanding. There is a limit, a shelf life so to speak, for things, where as acquiring wisdom has no boundaries. You can’t put a price on something infinite, which makes you less likely to be subjected to price competition. Your clients will appreciate that they can come to you for answers on everyday questions and will therefore be more likely long-lasting, likely to return clients (according to research, repeat customers spend 33 percent more than new customers with every new transaction). Even your most forgiving clients will refuse to deal with poor customer service, especially if they were one of your first. Consider instituting special benefits for recurring and loyal clients. If a new lead comes your way, treat them as though they are the only thing in the world that matters. You never know how much business they will want to do with you down the line, or if they might be your next highest paying client. It is likely that if a customer experiences bad service, they are going to tell their friends and family. In fact, a client who is dissatisfied will tell nine to 15 people about their bad experience, and 13 percent of people tell 20 people about their bad experience. As you can see, this can lead to a bad reputation that will go viral. Ultimately, treating your clients as though they are walking dollar signs will actually cause you to lose profits. Because 70 percent of people’s buying experiences are based on the way they feel they are being treated, it is just as important – if not more so – to invest in prioritizing customer service as it is to purchase that new laptop.